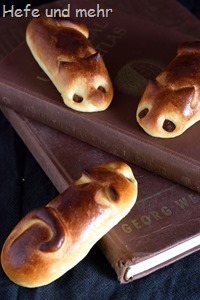 A reader told me about “Schulmäusen” (School mice), a small sweet roll filled with hazelnut praline. She tried to bake similar rolls in a spelt variant but struggled with them getting to dry. My brain worked a while on this idea in the background and came up with a recipe at the end – just in time for school start. 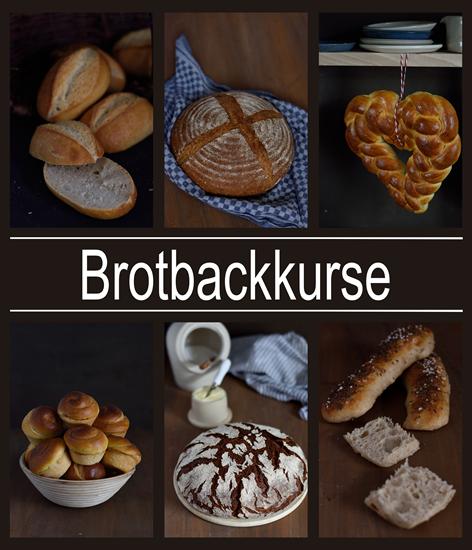 As the name “Schulmaus” is a brand name, I decided to call my rolls Spelt mice and formed most of them like a mouse, too. But if you do not roll one end into a long tail, then you get the original form, too. 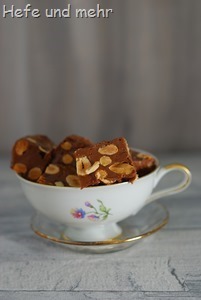 They are not a healthy snack, but a treat for small and big ones with a sweet tooth. The crumb is fluffy and the filling creamy – a good way to make school start a bit sweeter! 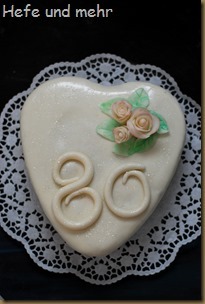 To bake a heart shaped cake for birthday (also called “Birthday-Heart”) is an old family tradition. Which cake is baked on the other hand is highly variable. 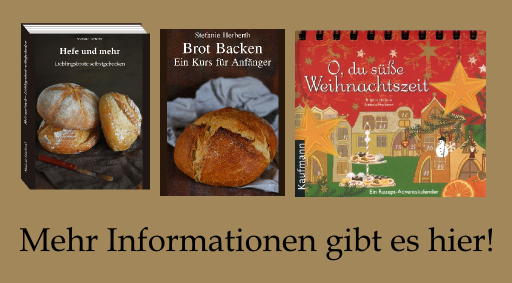 We already baked Cheesecake-Hearts, Goldknödel-Hearts and or the good old Pound-Cake hearts filled with a layer of jam. For the 80. Birthday of my Grandmother I volunteered to bake a festively decorated cake and the heart shape was mandatory for me! But what cake should I choose? At the end I decided to use the Praline-Quark-Cake from Petra. 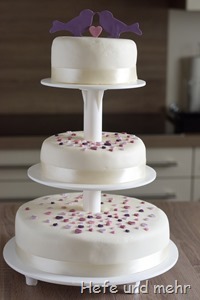 Jutta chose this cake as base of her sons wedding cake and she praised the cake so much that it was clear to me that it would be the perfect cake. To fill the heart springform completely I multiplied the recipe by 1.5, but reduced the amount of sugar a little bit. And now I can only repeat what Petra and Jutta already told us: It is a great cake, moist and nutty but at the same time very stable, perfect for fondant covered cakes! This is for you, dearest Oma. Happy Birthday!